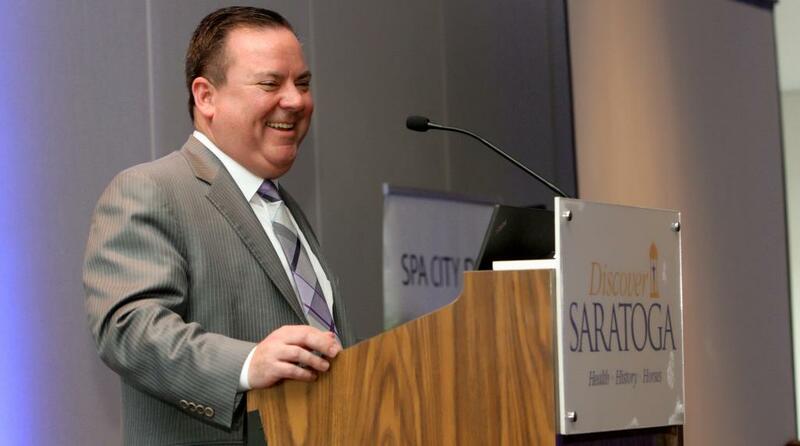 It is with mixed feelings that after 8 years at the helm of Discover Saratoga, formerly the Saratoga Convention & Tourism Bureau, it is time for me to say good bye and move on to the next challenge in my career. My last day in the office will be April 6. I have thoroughly enjoyed my time here in Saratoga. I have had the opportunity to work with the best staff in the industry, passionate hospitality partners, enthusiastic community organizations and engaged elected officials. We hear all the time from the planners and clients that they feel the community spirit when they bring their group to Saratoga, that we all work together as one and it’s absolutely true. Thanks to our talented team, sales have grown almost 125% with over 98,000 in contracted room nights signed in 2017 compared to just over 43,000 in 2010. Discover Saratoga serviced over 640 groups in 2017 (an increase of almost 280% from 2010 when they served just 167 groups), which accounted for nearly 100,000 room nights and $67.5m in estimated economic impact. In addition, our signature event, Chowderfest has grown steadily over the years with nearly 40,000 visitors this past year compared to the estimated 11,000 in 2010. Through many collaborative efforts, Discover Saratoga helped launch events like Toys for Toga, the Saratoga Frozen Springs Pond Hockey Classic and Saratoga Beer Week which have become annual staples and economic drivers within the community. In 2015, we successfully negotiated a management contract with the City of Saratoga Springs for us to take over the operations and programs for the Saratoga Springs Heritage Area Visitor Center. Heather McElhiney moved from our office to manage the facility on our behalf and quickly implemented our plan to improve the exhibits and displays within, added full and part time staff, expanded hours and offered additional programing. The team was rewarded with two consecutive (2016 & 2017) TripAdvisor Certificate of Excellence Awards for outstanding service and had record attendance each year with 2017 topping out at over 40,000 visitors. In 2017, the city & Discover Saratoga completed a 5-year contract extension with an additional 5-year option at the end of that term. This really has been a win-win partnership with our City officials. I am so proud of the remarkable success our team has achieved over my time here, earning Discover Saratoga’s first nationally recognized honors with the 2013 & 2014 Pinnacle award from Successful Meetings and the 2012, 2015 & 2016 Gold Service award from Meetings & Conventions along with the Certificate of Excellence awards with TripAdvisor I mentioned above. But I am most thankful for the lifelong friendships I have made along the way. Saratoga is a special place and will always hold a special place in my heart. I thank each of you for your support, guidance, direction and collaboration. I hope to see you around Saratoga this summer!